Sewing | So Pretty is as Pretty Does. My husband does a lot of work around the house and yard, so much so that I think all but two or three pairs are either ripped, stained or worn so thinly that they may as well be jeggings. 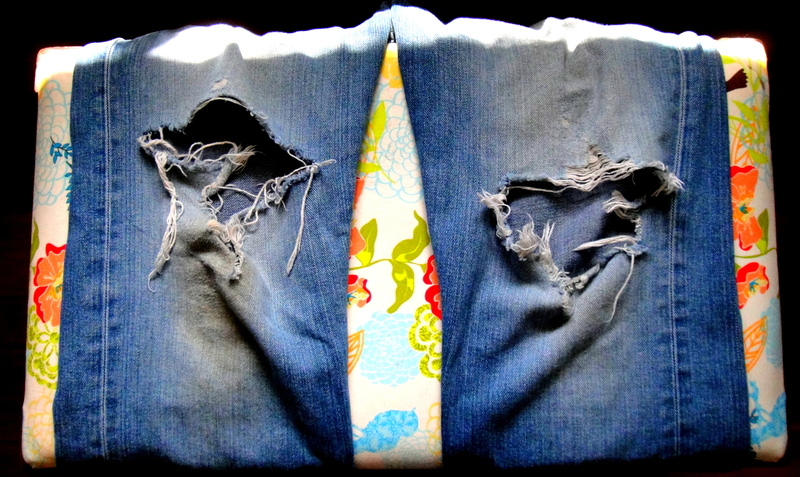 Today, I took some time to mend one of very ripped pair of jeans.